Comes with full remote control. Perfect for all year round use. 2 operating modes, Warm and Cool. 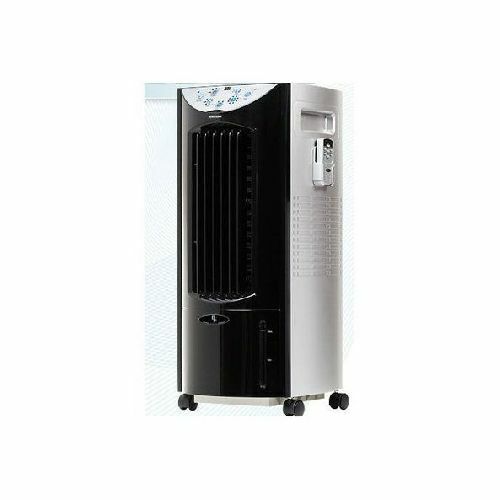 Four functions in one - Air Cooler, Heater, Fan, Humidifier and Auto Humidity Control. Protect yourself and your family with this challenge premium Products comfort mist humidifier. The comfort mist works as a heater, cooler, and humidifier. Keep the air in your home the way you want it with this humidifier. Warms cool mist to room temperature. Provides optimum comfort while maintaining an ideal humidity level. Help prevent a dry nose and throat. Protect yourself this dry winter season. Permanent honeycomb filter combines with an active carbon filter. 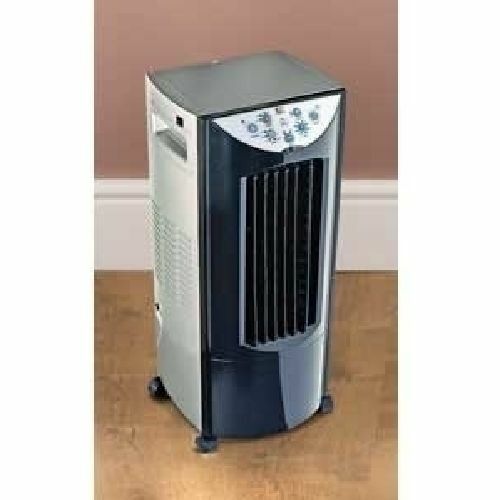 Removes pet dander, mold spores, dust mites, cigarette smoke, and most other airborne contaminants. Measures 25.5 inches high x 14.5 inches wide x 12.2 inches deep. Honey comb water curtain for optimum performance. 4 speed: High, Medium, Low and Sleep. Separate water tank for thorough cleaning. Up to 8 hour timer. 12 Litre Water/Ice tank capacity. Power consumption 80w (cooling mode), 1500w (heating mode). Easy to move with durable casters and handles. Perfect for all year round use. Supplied in sealed manufacturers full colour picture box.